The school governors presented children with new uniform this morning as part of the school's rebranding focus. 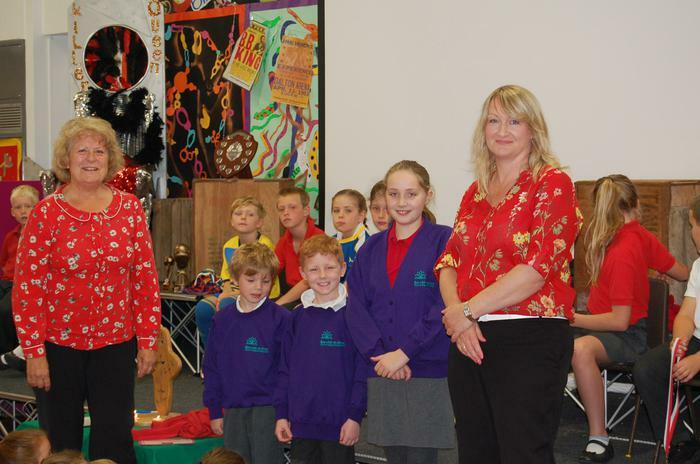 Mrs Davies, Chair of Governors, and Mrs Holmes, Vice Chair of Governors, presented each class with a new uniform. The children are all very excited and can not wait to wear their new uniform in September!